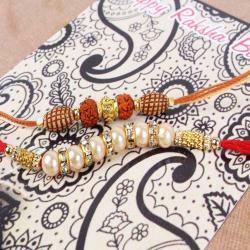 Product Consists: Exclusive Five Diamond Ring with Wooden Beads Rakhi Combo nicely tied on a designer Card. On the eve of Raksha Bandhan gift your loved one this exclusive set of five wooden beads diamond ring Rakhi combo to cheer the eve. 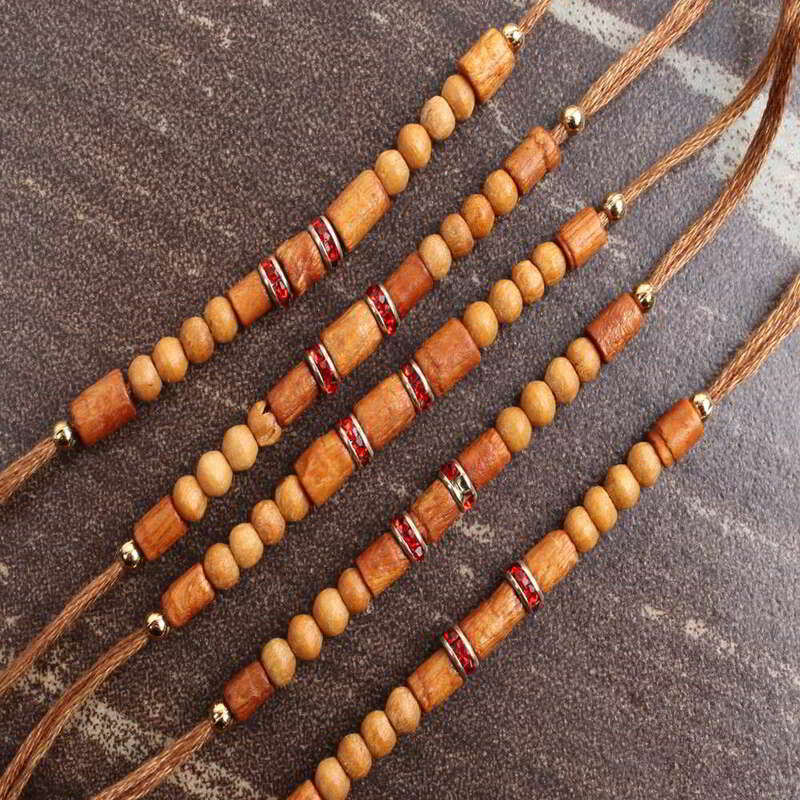 Wooden beads threaded with diamond rings looks amazing and will grace up the look of your loved one with its unique style. 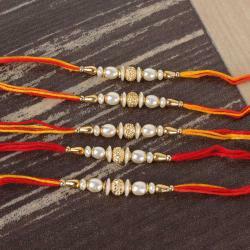 All five Rakhis are of same pattern for your dear brothers. 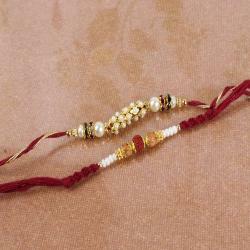 Celebrate the eve by tying these wonderful Rakhis on their wrist and share the love with them. 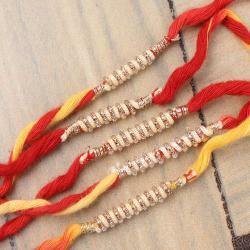 Make these exclusive Rakhis be part of your celebration and make beautiful memories with family. 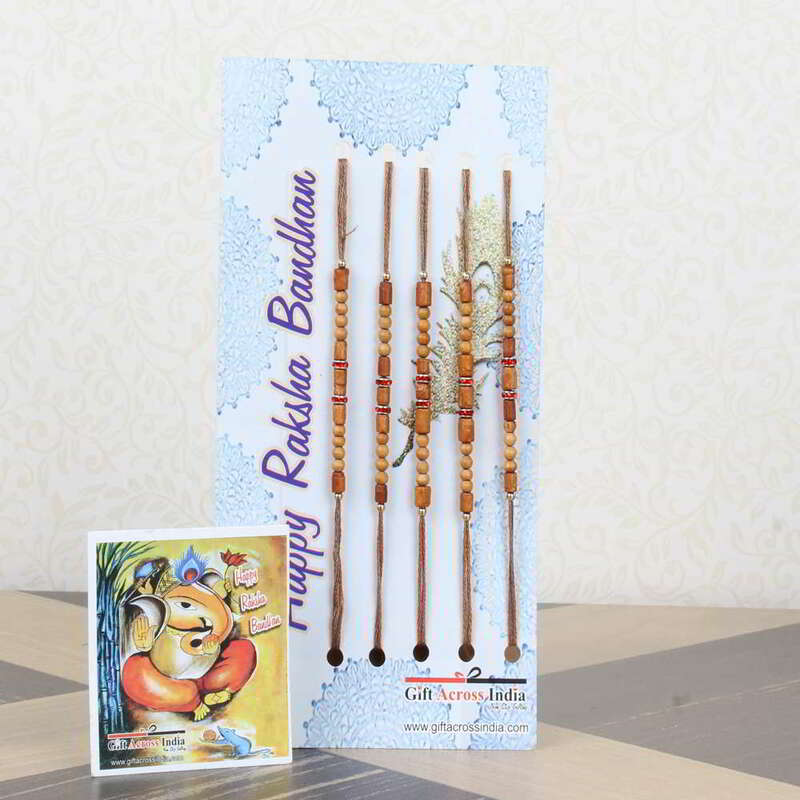 Product Consists: Exclusive Five Diamond Ring with Wooden Beads Rakhi Combo nicely tied on a designer Card.